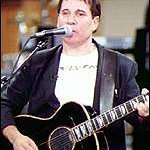 Paul Simon recently wrote a column for USAToday.com calling on President Obama to give children the high priority they deserve. “We couldn’t agree more. But, getting it right will require a real commitment of effort and resources to make sure that all of our children are not only safe from horrific violence, but also able to grow and thrive to their full potential. “There are many obstacles facing children living in poverty — and it’s not just lack of access to doctors. Homelessness, food insecurity, mental and emotional health disparities, educational inequities, transportation barriers, danger in our streets and too many substandard schools, have made it extremely difficult for poor children to achieve their potential. “Despite isolated pockets of improvement, the outlook for children in America today remains bleak. We’re already a decade into the 21st century and our wealthy, industrious nation has 17 million children living in poverty. More than 16 million U.S. children regularly go to bed hungry and less than half of disadvantaged eligible preschoolers have an opportunity to get into an early education program. “We all legitimately worry about leaving our children and grandchildren with astronomical debt. But if we worry about long-term consequences that may well undermine the nation’s ability to remain economically strong and globally influential; we should have similar concerns about allowing another generation of children to grow up poor, undereducated and unprepared to contribute fully to the American future.